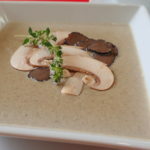 Creamy Full Fat Mushroom Soup. Not with chicken stock and not with crème fraîche. 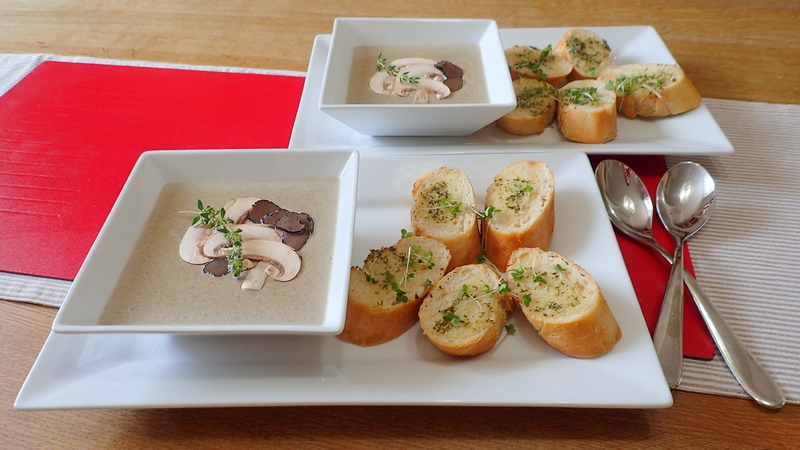 My Creamy Full Fat Mushroom Soup is made from double cream and full fat milk. I make this maybe twice a year and when I do I like to make it full fat. No diet stuff and the family always laughingly fight for leftovers booking it for dinner. 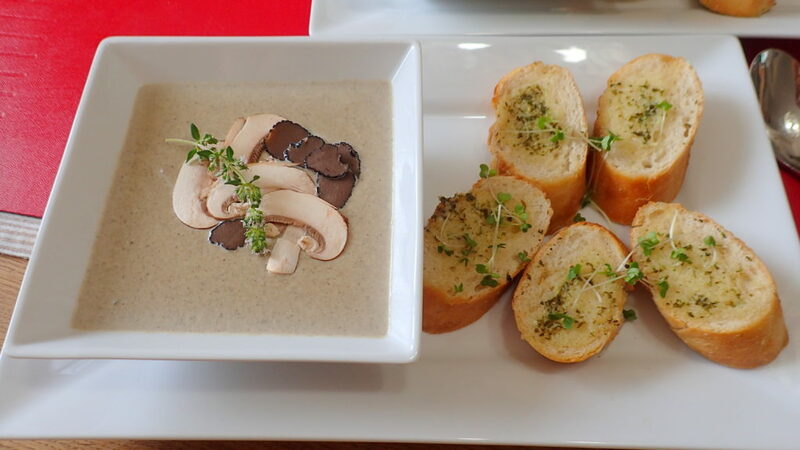 Just a bowl of soup and some garlic baguette is more than enough for a meal. It is a simple recipe and very easy to make. Once you have tasted home made the tin stuff just do not cut the mustard anymore. Once you tried home made you will also be able to tell the difference between home made of out of a tin when you order at a restaurant. Today I made it extra special by adding some truffle and truffle oil. 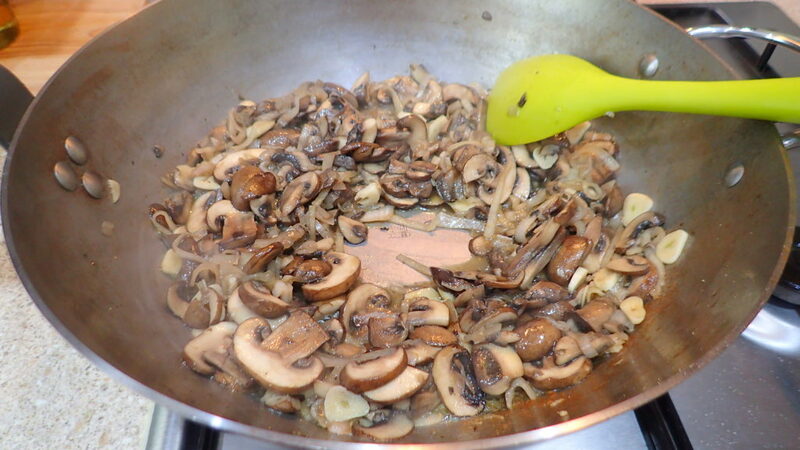 Fry the sliced mushrooms with butter. I use chestnuts mushrooms because I prefer the stronger taste to the white ones. Fry till soften, then add in your sliced onions and garlic. 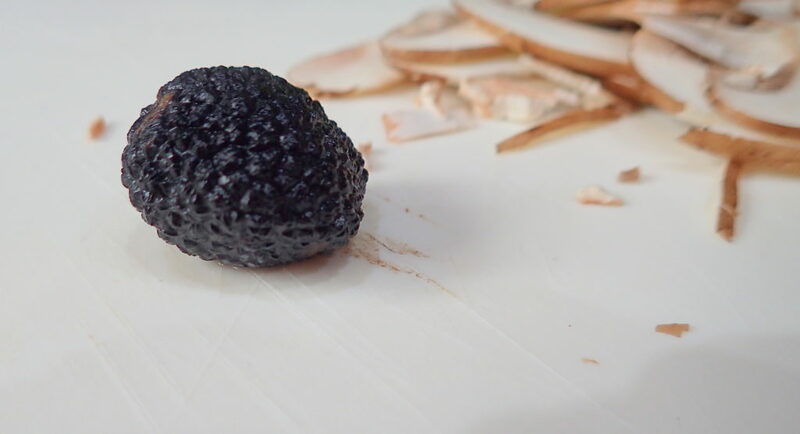 Continue fry for about 5 minutes & season with salt and pepper. Do not over season. (Your guests can season after) We just needs some salt to draw out the juice from the mushrooms. This is a very important step. 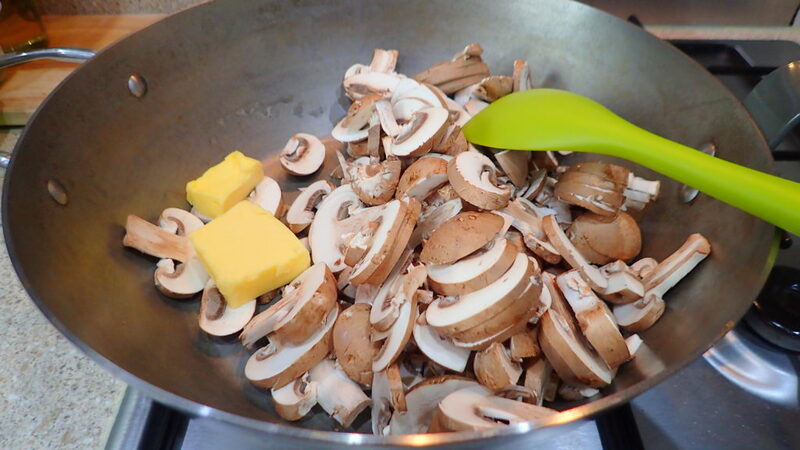 TIP – As you continue frying, you will see the mushroom juice will be drawn out. 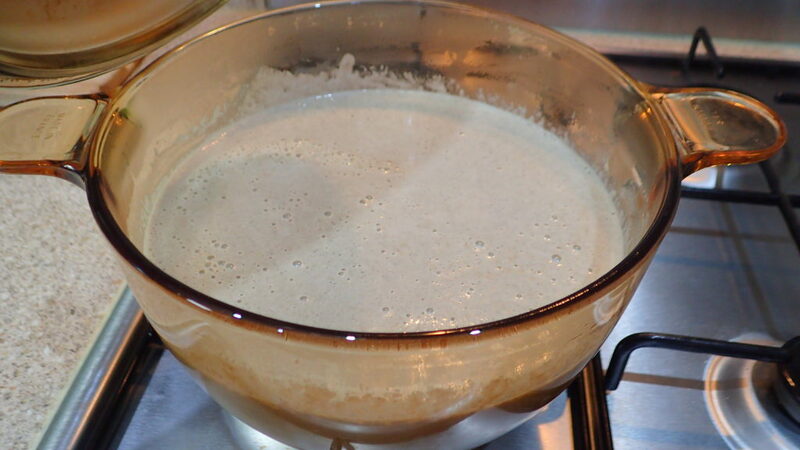 Continue frying till it dries out before adding your milk and double cream and a sprig of thyme. 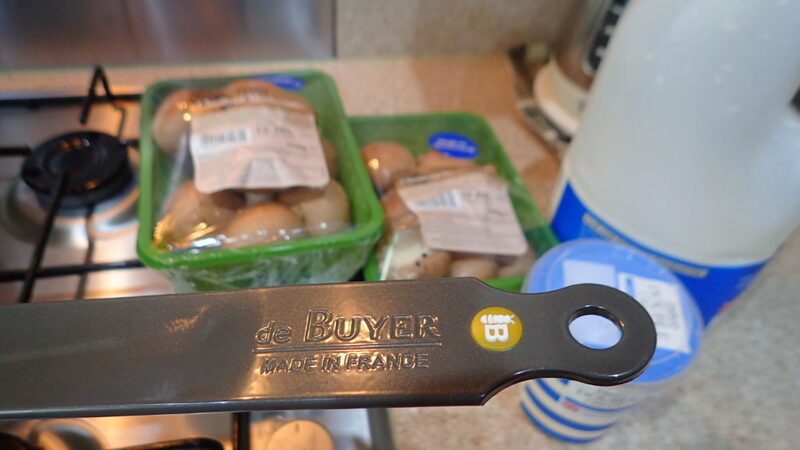 When the soup comes to a boil, turn the heat off, remove the thyme and then use a hand blender and blitz. 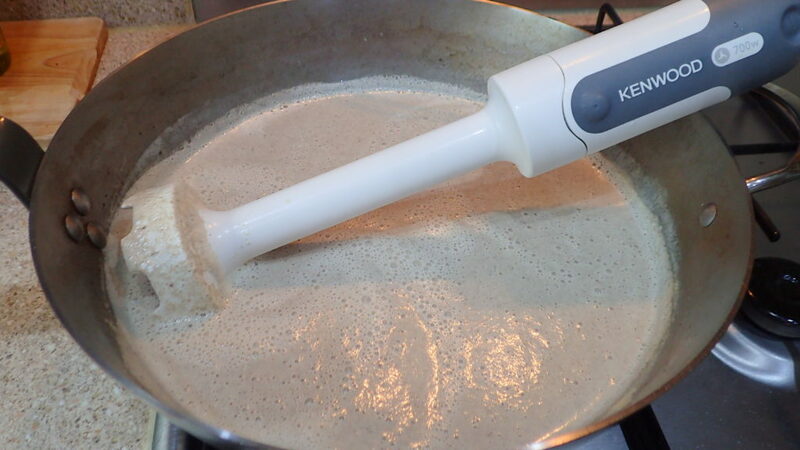 If you do not have a hand blender you can transfer the soup to a normal blender and blend to the consistency you like. 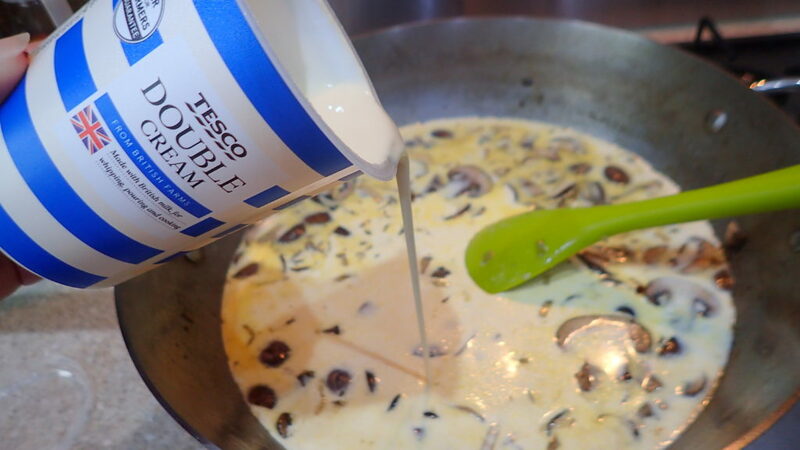 TIP – If you find your soup a bit thick you can add more milk. Then just leave it to mature a bit and reheat just before serving. TIP – You can safely keep this into and air tight container and into your fridge for a few days. I do NOT recommend freezing though. TIP – decorate at will. 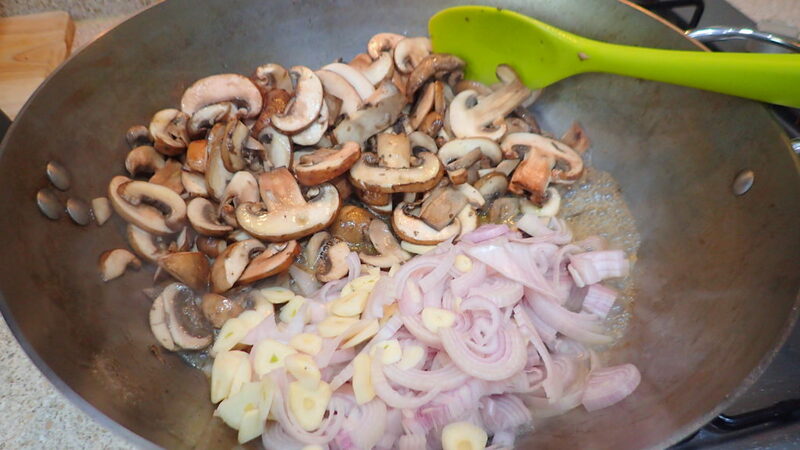 In this pic I left 2 mushrooms and slice them as thinly as I could and the truffle as well. TIP – This measurement is a guide and you do not have to be exact. Adjust to your taste.